(TibetanReview.net, Mar07, 2018) – The exile Tibetan administration (CTA) at Dharamshala, India, has on Mar 5 rejected China’s claim that no relics had been damaged in the fire which engulfed the World Heritage site of Jokhang Temple in Tibet’s capital Lhasa on Feb17. It asserted that the damage was extensive, although the full extent of it was still not clear. It has also rejected Beijing’s suggestion that the fire was put out as soon as it started, citing local sources as saying the blaze had continued for close to four hours and required 31 fire trucks to completely extinguish it. 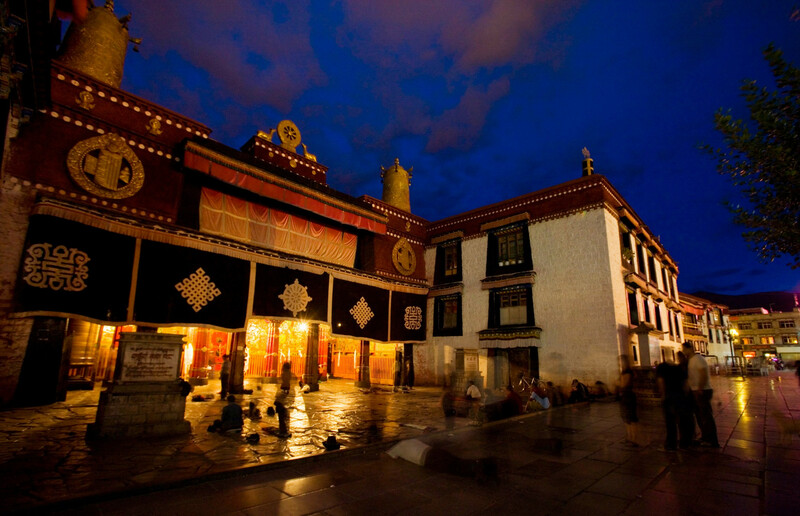 The CTA said on its Tibet.net website that after the fire was put out, a committee from the State Administration of Cultural Heritage, which looks after the protection of cultural relics of national importance, had visited the site and estimated the loss to be 30,000–50,000 million Renminbi. Monks and other officials of the Tsuglakhang remain under strict instructions not to speak about the fire to anyone. They were reported to have been given a directive to uphold two must-upholds and four unutterables, with the details about them being not yet clear. Citing local sources, the CTA said the blaze appeared to have caused extensive damage to the 1,300 year-old temple and many of its precious architectural features, murals and relics. CTA said that while information about damage, if any, to the Jowo Statue, the centrepiece of the temple depicting the Buddha Shakyamuni at 12 years of age, was not clear, the back wall of the statue and murals in the chapel had suffered damage to some extent. Besides, the CTA continued, the fire had caused extensive damage to four shrines in the Tsuglakhang complex, including the Palden Lhamo Yum Drakmo chapel, the Songtsen chapel, the Mani Chapel (which houses numerous relics, scriptures and commentaries by many Tibetan Buddhist scholars) and the Namsey Chapel. These were stated to have survived China’s Cultural Revolution of 1966-75, but were unfortunately extensively damaged in the recent fire. The CTA also cited sources as saying 14 ancient statues had been burnt, although the severity of the damage could not be ascertained. However, a canopy of pure gold dating back to the 14th century said to have been offered to Je Tsongkhapa by devotees was reported to have been severely damaged. Other than ruling out arson, China has so far not provided any explanation on the cause of the fire and the extent of the damage. CTA President Lobsang Sangay has expressed deep concern and called for a transparent verification of the incident and the damage caused to the Jokhang Temple. “The lack of clear information about the fire as a result of the blanket of censorship has left a gaping hole in the narrative of what actually happened. Therefore, I urge UNESCO to investigate into the matter and send journalists into Tibet for an independent investigation,” he was quoted as saying.